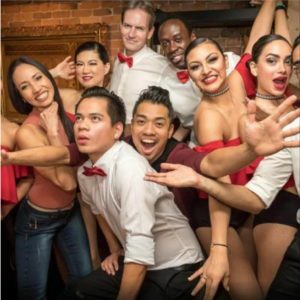 There are several Dance Salsa Instructors in the city of Vancouver teaching a variety of Latin Rhythms (Salsa, Bachata, Merengue, Cha cha cha, Tango, Reggaeton and more) and when you are going to select an instructor one of these questions come to your head. Where is a good location to learn Salsa dancing? Who is a good Salsa Instructor in Vancouver? Do I need a partner to learn How to dance Salsa, Bachata ? Where can i find Free Salsa Classes? How Much is a Salsa Dance lesson? Well, We have a list of Instructors that will help you to choose your Salsa classes and We also offer Free Salsa lessons to our costumers. Vancouver Latin Fever offers complementary Salsa dance lessons to our costumers. Beginners are always welcome to the classes and also intermediate dancers that want to practice the steps. Partner is not required. After the Salsa class is finished you are welcome to participated dancing to practice what you learn during the Salsa classes. You will learn how to dance in a month different styles of Latin Rhythms and you will meet a lot of people. Here is our schedule for our complementary salsa Classes in our different locations. Salsa Classes in all styles of Salsa (LA, Colombian, Cuban, NY, Puerto Rican), Rueda de Casino, Bachata, Cha cha cha, Cumbia, styling for women and men – plus Merengue lessons, Tango, ballet, kids & teens Latin dance. Salsa Classes, Bachata Lessons. Their Dance lessons are pretty full. Salsa lessons vancouver, bachata lessons, zouk, kizomba, west coast swing, zumba, hip-hop, reggaeton, and street jazz classes in downtown Vancouver. … Discover Baza! He is the instructor on Friday nights at Havana Fridays at Mangos Lounge. One of the most energetic instructors in the city. Dance school in Vancouver that specializes in Cuban Style Salsa (Casino) and Rueda de Casino (salsa danced in a circle) and also teaches other forms of Latin Dance such as Son, Reggaetón, Merengue and Cha, Cha, Cha. Latin Dance has had a profound impact on our lives and we are grateful to be able to share the joy, exhilaration, creativity, learnings and sense of connection that we have experienced through these dances. These Salsa classes are being teached in Coquitlan, Surrey and more. Salsa Dance Lessons (LA style), styling for women and men. 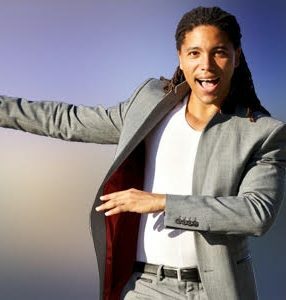 He is one of the best Salsa instructors in Vancouver.Contact: Alfonso Caldera. Dance lessons in Salsa 1,2,3. He is one of the most popular Salsa Instructors in the city. His dance classes are pretty good attended. Beginner lessons and intermediate classes. If you are an Instructor and you want to be on this list please send us your info to info@vancouverlatinfever.com. Vancouver is a city that has Salsa Dance lessons almost every day of the week starts on Mondays and Tuesdays, Wednesdays, Thursdays, Fridays, Saturdays and Sundays. You don’t need a partner to take a Dance lesson and if you want to have a Free introductory dance lesson come to our events early at the Latin clubs and the dance Instructor will show you how to do your first steps in Salsa, Bachata, Merengue and more.